March 18, 2019 April 6, 2019 - by Marcus Eriksson - 4 Comments. Sneaker bots have changed the game of buying sneakers which used to be simple. Go to a store and take your pick. It was a matter of budget and preference. However, times have changed. In today’s world of modern technology, getting your hands on a pair of sneakers isn’t as simple. At least not if you want a limited edition kicks. As the name suggests, the number of these sneakers is finite. If you take into account that your competition for them are people all over the world. it’s clear that you won’t be able to get them just by going to a store. That’s why specific sneaker editions go out in a blink of an eye. And, those are usually the ones you want, like Adidas Yeezys and Air Jordans. So, you have to be resourceful if you want a piece of that action. 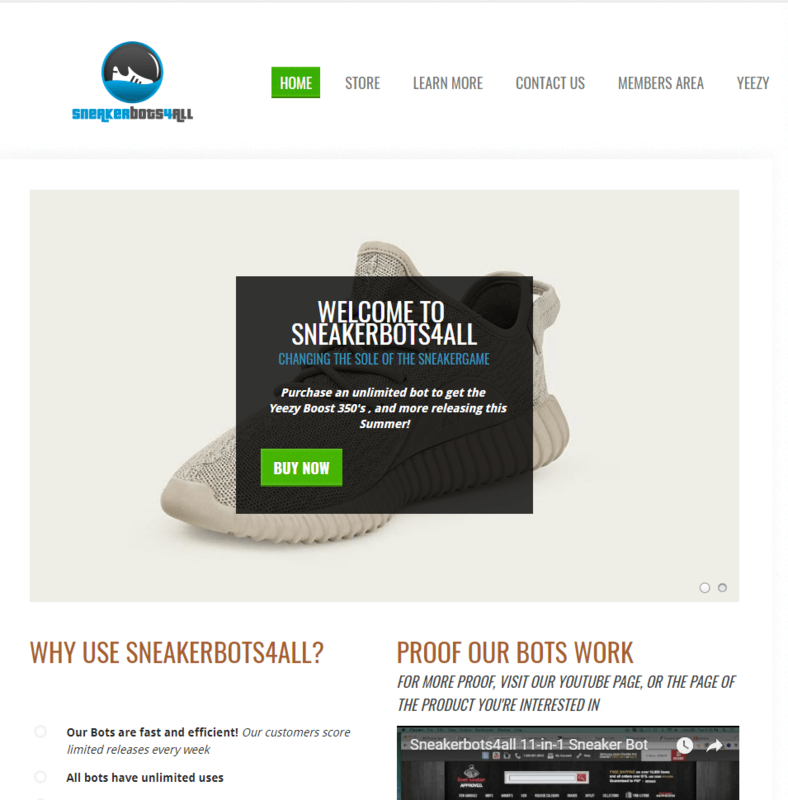 The solution to your problems is copping sneakers with a sneaker bot. NOTE: Most sneaker bots require the use of specific proxies in order for you to be able to cop sneakers without getting IP-blocked. Residential proxies are the safest since datacenter IPs usually gets blocked. We recommend Smartproxy together with your sneaker bot. They even have simple setup guides for most bots out there. Click the image to see the top upcoming limited edition sneaker releases of 2019! 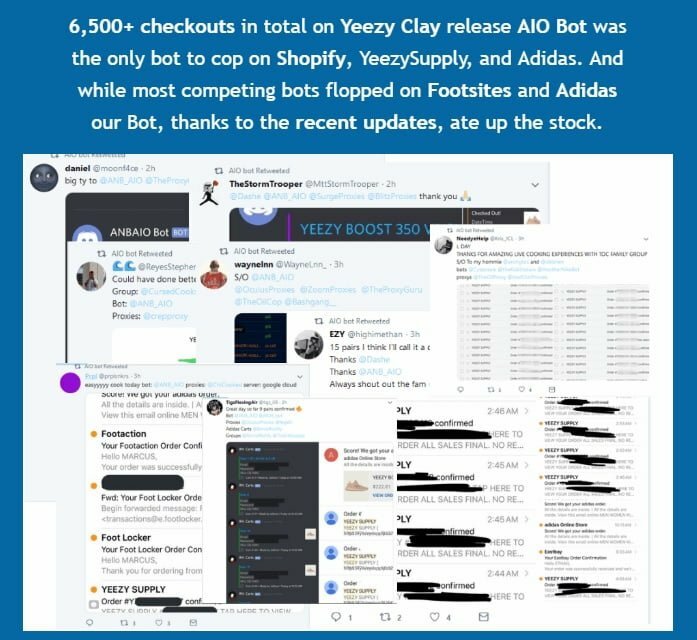 If you want to be able to cop the hottest limited edition sneakers in 2019, then the best sneaker bot is AIO Bot. You can read more about it below. The internet is a beautiful place. It allows you to purchase stuff from the comfort of your own home. However, it also allows people to cut corners. If you’re wondering why you’ve never been able to purchase limited edition sneakers online, and why they sell out before you even get the chance to click on a link, the answer is that you’ve been doing it wrong. How do you get the upper hand? Bots are software programs that are fantastic tools when it comes to buying sneakers online. They cut down your sign up process time and save you those precious few seconds or minutes. Aside from speed, sneaker Bots offer CAPTCHA solvers, early links, and they also monitor for restocking and can perform multiple tasks at once. This all-in-one Bot is one of the most popular Bots across the web. It’s an oldie but a goodie. It’s completely automated and it searches and buys sneakers you’ve inputted in the program beforehand. The interface takes some time to get used to if you’re a complete beginner. If you have even just general know-how, you’ll use this Bot easily and quickly. Furthermore, this Bot has a very responsive Support team. We always put a lot of weight on the support that a specific bot provides, because when things go wrong, you need them to watch your back. That is why we rated this Bot very highly. However, at $325, it is somewhat pricey. But, on the upside, that seems to be the only complaint that the users have. 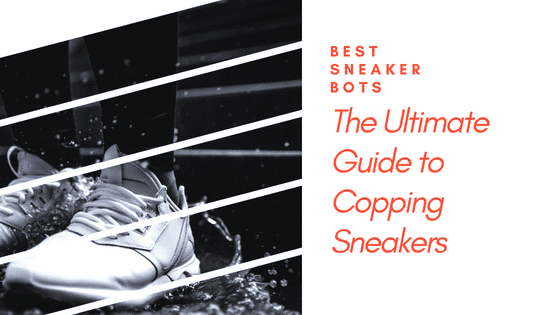 So, if you’re serious about copping sneakers, we suggest investing in this type of sneaker bot, as well as a proxy. Another great feature this Bot has is the automated updates that AIO Bot offers to its users. That is a crucial feature because the world of modern technology is changing at a fast pace, and we recommend using the bots that can keep up with that. Another Nike Bot is an inclusive bot that supports Nike stores in the USA, Japan, the UK, China, EU, Australia, and Hong Kong. In fact, it supports over 40 cop sites. It’s very fast and can support multiple accounts. That can come in handy if you’re planning on purchasing multiple pairs of sneakers of the same or different editions. Another Nike Bot supports up to 100 accounts, and while you don’t have to use them all, it’s nice to know that you have the option. The fact that you can have multiple accounts means that you are a more significant competitor and that much closer to the desired pair (or a few) of limited-edition sneakers. However, you can only use Another Nike Bot on one PC. If you want to use it on multiple devices, you’ll have to buy their Extra Licence. Furthermore, Another Nike Bot has a Twitter Sniper feature and Countdown Support. Consequently, it has a high satisfaction rate. This specialized Bot will help you get your hands on limited edition Nike sneakers. If you’re a massive fan of the famous brand, this kind of a bot, which focuses on one brand only, might be the right choice for you. Furthermore, BNB is reasonably priced. Considering the fact that it supports over 30 cop sites, the price of $200 for their regular package isn’t as high as with some other bots. However, keep in mind that BNB doesn’t offer stellar Customer Support. They are very technically oriented, which means that you’ll get a fast interface and an excellent service. But, they lack in some areas. Namely, the Customer Support. That is something you need to consider before investing your money. Some of the features that BNB offers are early links, product search links, and unlimited NDC accounts. That means that you can specify multiple early links for each of your NDC accounts, and you aren’t limited in how many of those you can have. Furthermore, BNB offers an auto CAPTCHA solver feature, as well as Twitter Stream API, Restock Mode, and many more. BNB is also updated fairly regularly. Nike Slayer is an even more specialized bot. Namely, it focuses on specific sites like Eastbay, FootLocker, Champs Sports, and FootAction. It has over 1000 satisfied customers and offers customer support via Twitter, Facebook, Livechat and email. This Bot takes a different approach to copping sneakers. For one, it has an extremely user-friendly interface. It’s quick and simple to use. However, that might be due to the fact that the features Nike Slayer offers are limited. For example, while it does offer Rapid Checkout and Task Restarting features, much like other Bots do, it doesn’t have more advanced options like the Twitter Stream feature. Furthermore, because this Bot specializes in specific websites and brands, that means that it doesn’t support that many cop sites. That doesn’t really justify the average price of their packages, which is around $250. Easy Cop is a Windows-only software program that has scaleable prices. Therefore, depending on what you need, you can pay anywhere between $95 and $595 for this sneaker bot. This Bot is relatively new on the market and has some basic features. It offers Auto Checkout, regular updates, and Restock Monitor features. It also has more features, but those require the purchase of pricier plans. Their more expensive plans offer White Label feature, as well as the Success Notification feature. Furthermore, if you’re interested in the Proxy Support, and Account Generators, you’ll also have to pay more and pick one of the more expensive plans. The most significant difference in the plans this Bot offers lies in the number of accounts you can have. The basic plan limits you to 2 accounts per store, while the most expensive one, for example, allows you to have an unlimited number of accounts. 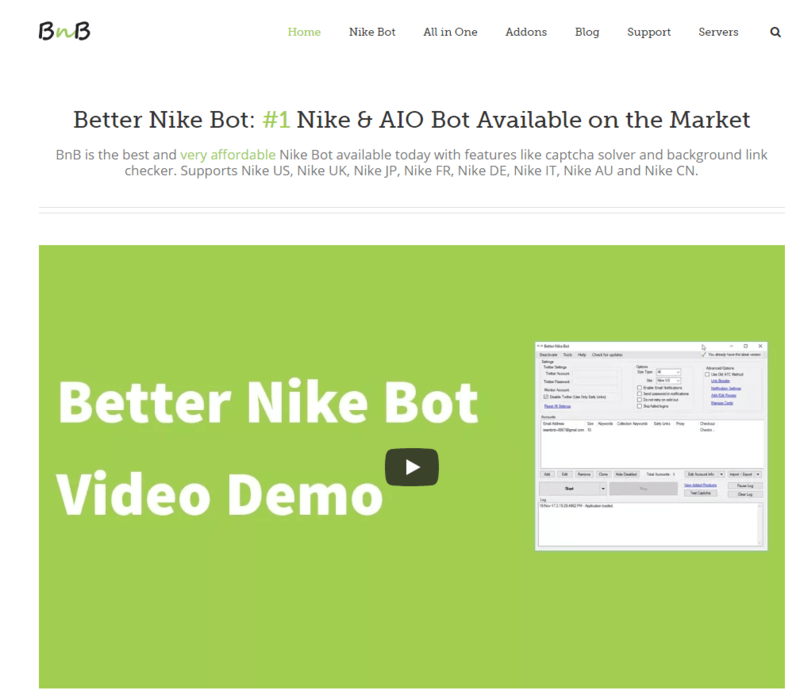 SneakerBots4All pride themselves on being a 35-in-one automated add-to-cart bot. However, you can also choose some other, less extensive, but also less expensive plans. For example, you can also try their 11-in-one bot, for the price of just $15. SneakerBots4All offers limited features, but for a much lower price than their competitors. However, you can also choose their Everything package for the amount of $375. This package offers premium features, such as the Twitter Scanner, Restock Scanner, and more. Since some favorite brands use social media to announce their limited-edition releases, you can also try some social media automated bots like Jarvee or Follow Liker. For example, Nike uses Twitter Link Only (TLO), which means that you can only access the link for early releases of limited editions through Twitter. SuperCop Bot is one of the bots that offers lower prices. For $90, you get worldwide support for Windows, Linux, and Mac/OSX. This bot has an unorthodox approach to copping sneakers. It’s actually more of a browser plugin than a standalone Bot. It seems to us that it’s not as powerful or as quick as some other competitors. However, it does have a meager price, especially compared to industry leaders. That is why we have included it on our list. SuperCop Bot is easy to use, with an interface similar to many frequently-used mobile apps. You just need some equipment and general know-how, and you can cop sneakers like a pro. With the help of a server and a Bot of your choice, you can beat others to the punch, just like you’ve been beaten many times. Bots can automate the sign-up and checkout process, and therefore be faster than humans. Bots access the websites of your favorite sneaker brands by using codes to gain ‘backdoor’ access. When you combine this approach with the prowess of servers and the anonymity of proxies, you’ll be the first in line for those coveted limited-edition sneakers. Well, you and every other person using the same strategy. It’s all about choosing the right Bot. However, choosing an excellent Bot isn’t a piece of cake either. The most important thing is to choose a bot with regular updates. While some bots charge for this feature, others offer it for free. As we mentioned before, because the technology is always changing, you need a Bot that will be able to keep up. Not to mention, if you don’t have the latest version of the technology, the sneaker site might lock you out. Furthermore, it’s crucial that the bot you choose has excellent customer support. Because speed is the most critical thing when copping limited-edition sneakers, the response time of the support team is vital. If something goes wrong, you want them to have your back, not to leave you hanging. Since every Sneaker Bot will tell you that they have stellar customer support, it’s best to investigate for yourself. Browse some review websites and read the comments other users left there. If most users sing praises to the Customer Support, that’s a good sign that you can rely on it in times of need. Moreover, you should pick a bot that has multiple account support, and that’s compatible with multiple sites. 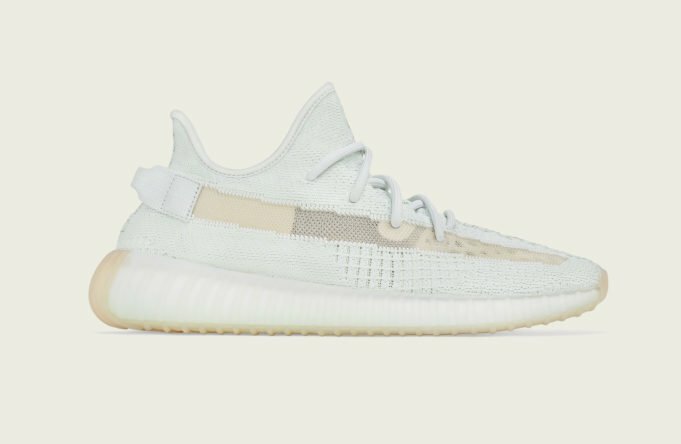 The more websites a Bot supports, the better your chances of getting your hands on a pair of sneakers are. The same goes for the option of multiple accounts. That is especially true if you want more than one pair of sneakers. Furthermore, it’s crucial that the Bot has the multithread technology. That will allow quick and easy multitasking and easier cruising through the sneaker website. Finally, if possible, choose a sneaker bot that offers proxy support. However, some of the cheaper bots don’t provide this feature. So, keep an eye on that while making your choice. You also need rotating residental proxies because IPs from datacenters will get blocked. What is your favorite sneaker bot? Great proxy service. Glad I found them on your website. They have covered quite a few angles on their blog for copping too. Overlaps quite a bit, so the info is on the same page for both sides! Thanks for your comment. I’m glad that they worked so well for you. So your saying if you get the AIO Bot along with a Smart Proxy it’ll cost your roughly 600$ a month? Or are bots just a one time fee and proxies are paid every month? Yes, proxies are paid every month and bots (such as AIO Bot) are a one time fee.